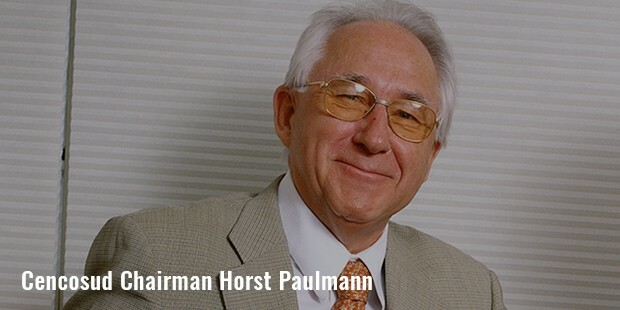 Horst Paulmann is a Chilean-German retailer who has expanded his retail business across South America. 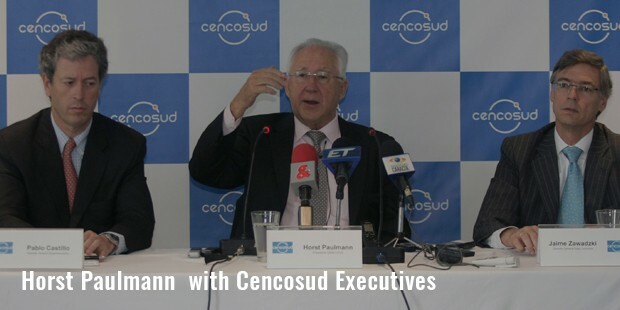 He is the Chairman and CEO of Cencosud, the biggest retail company in Chile, and 3rd biggest in Latin America. 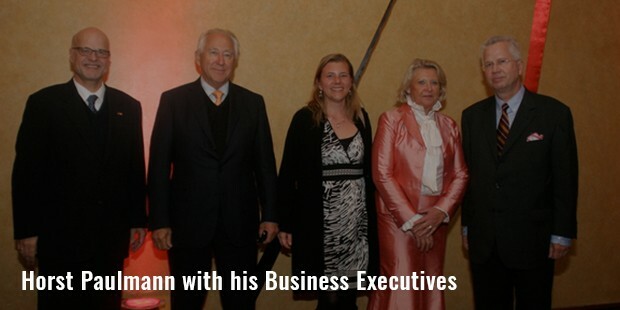 Paulmann, along with his family, owns 59% of the company. 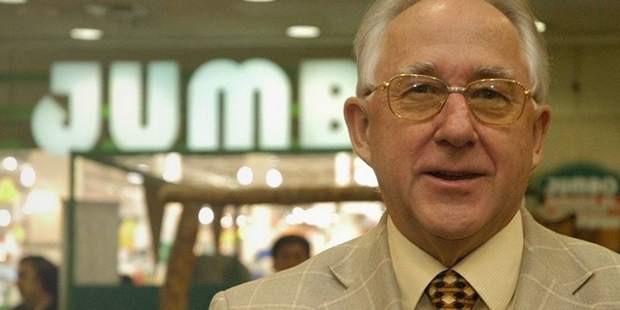 He opened his first Jumbo hyper-market in the year 1976, and now he has 922 supermarkets across Argentina, Chile, Peru, Colombia and Brazil. All in all, he owns 48 shopping centers and 1094 stores in total. He is German by birth, but moved to Chile after the Second World War. Since then, he is still a holder of dual citizenship. With a net worth of US $ 3.7 billion, he is one of the top 10 wealthiest men in Chile, and among the richest men worldwide. Born in Germany, Paulmann’s family along with 7 brothers immigrated to Chile in 1949. After settling in the southern city of Osomo, Horst left his secondary education, and starting working with his father. In 1952, they founded Temuco, through which they bought Villa of Recreation the Breezes. After his father’s death, he and his brother Jurgen transformed the property into a supermarket. Gradually, they established 5 more premises, and developed a new company which distributed foods in the south and central zone of Chile. Few years later, Horst settled in Santiago, and introduced the concept of big size supermarkets in the year 1976. These supermarkets sold all types of products under one roof. First was the Jumbo Supermarket, with which Horst was ready for failure, probably due to the fact that people were not comfortable with a new concept at that time. But the idea was a huge success, and Paulmann started being recognized in the retail industry of Chile. With such high degree of acceptability, Horst began exporting to Argentina, and created a new Jumbo in east Unicenter in the year 1982. It was the first shopping center in Argentina. With the success of supermarkets in Chile and Argentina, Horst started acquiring small supermarket chains, like Santa Isabel, Brisas and Disco in Argentina, along with Monte Carlo. Through the same holding enterprise, he also created new commercial centers, including the Meadow. With Cencosud, he operates a chain of malls, supermarkets, banks, entertainment centers, insurance groups and also a travel agency. Currently, he and his family are working on Costanera Center, expected to be the tallest building in Santiago. His 250 Store mall was visited by 7 million people within the first three months of its establishment, and in 2012, it won over Walmart into purchasing Colombian operation of Carrefour for $2.6 billion. After opening of his first Jumbo, Horst Paulmann now has 43 grocery stores, and is still determined to expand his retail empire across the globe. At present, he owns 238 Disc and Sees supermarkets, 37 Jumbo stores, 124 Santa Isabel supermarkets, 52 Easy stores, 21 commercial markets, 27 multi-store Paris, 46 GBarbosa premises and 7 Adventure Centers.